Are you worried that your blog audience is not growing as fast as you hoped? You are not alone. Most bloggers and website owners fear that. Your strategy should focus on giving what your audience or your visitors need and want. This will not only help you gain visitors but ensure that they keep coming to your site for more. You can engage with other bloggers on social media platforms. You can also leave positive and helpful comments. You might also consider guest blogging! It is important that you know who you are blogging for. You can’t just post something without knowing who they are intended for because if you do, there is a big chance you won’t build an audience. If you know your audience, you know what they are looking for – and that’s what you’ll provide them. What your target audience is looking for are posts that are newsworthy, trendy, entertaining, and relevant. Getting more social shares means more traffic. For every new share, even more readers are reached by your blog! Make it easy for readers to share your blog. This can easily be done by adding social share buttons to your blog! Just be careful not to add too many share buttons because, the more options readers have, the less likely they are to actually take action. Know that every single element on your blog should have a function – an important purpose if you will. Otherwise, it’s just clutter and nobody likes that. Make sure that it’s easy for your website’s guests to navigate when they check your site out. There’s nothing more irksome for guests than landing on a page and not knowing where to go next. Most of the time, this will just trigger them to hit that “x” and leave your website altogether. So keep things attractive yet simple. Seriously, why wouldn’t you want a landing page? Its main goal is to convert – to get people to sign up to your email list. Landing pages work because they don’t have distractions like navigation options! If you want to go beyond catching a guest for a one-time read, make sure you engage him or her! This is the best way for you to build a strong community around your blog. You can do this by being accessible. If someone comments, respond in a friendly and polite manner. Involve your readers. If possible, reward them! With these tactics, you can surely grow your audience and keep them coming back to get more of your content. If you think you need more help, you can always reach out to us at ReferLinks Online Marketing! 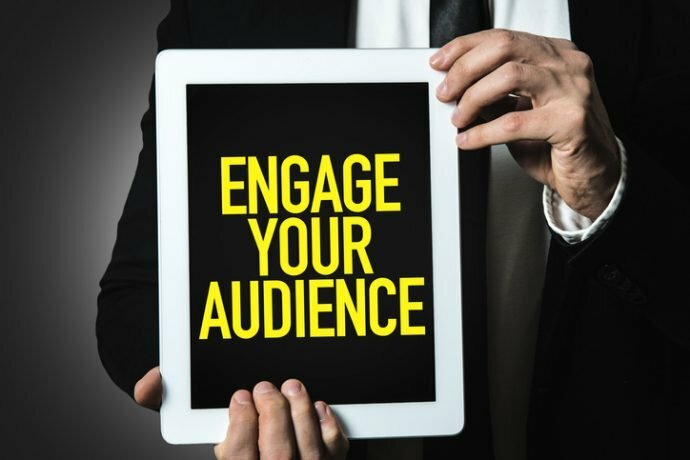 We can help you build an audience that loves you and you’ll love, too! This entry was posted in Blogging, Conversion, Online Marketing, Website and tagged blog audience,Blogging,Blogs,Content on October 28, 2017 by ReferLinks Online Marketing.